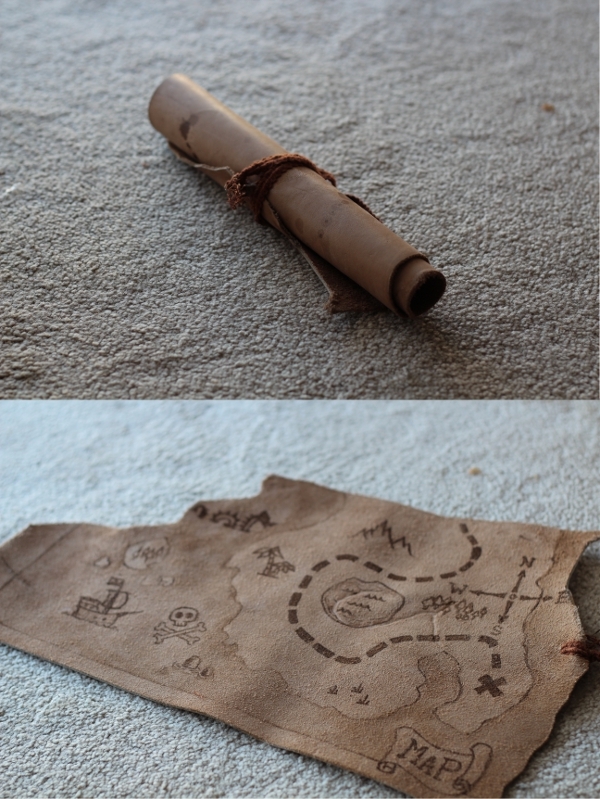 Here is a Pirate Map I made for my kids this Christmas out of a piece of leather and some walnut ink. Haha, man that is FANTASTIC! That is amazing. Would've loved something like that as a kid. Heck, I'd still be thrilled to get that for christmas..
oh wow. wonderful. my boy is on a pirate kick as of late...I might have to do something like this for him.